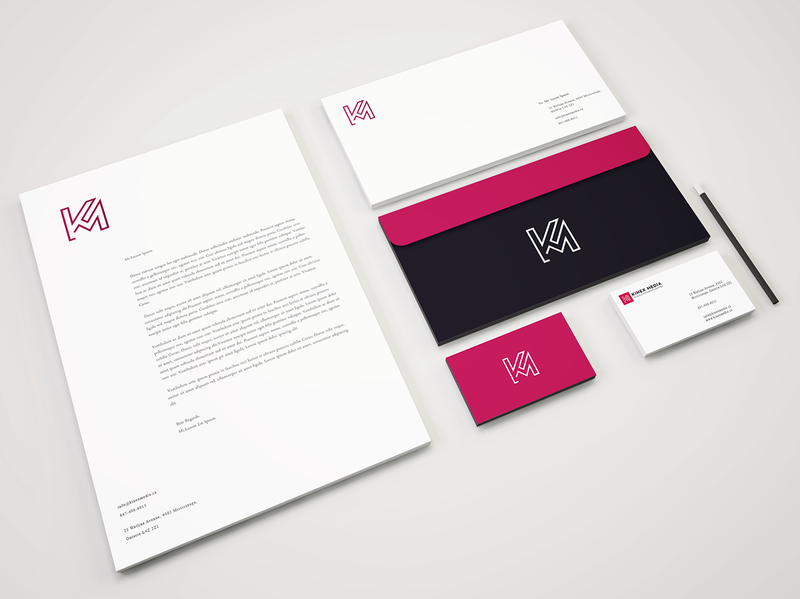 Ever since Kinex Media introduced its first logo, the journey turned out to be nothing, but spectacular. However, that was 5 years ago and digital world was still developing, with smartphones making their place. But, it’s 2016. Things have been changed drastically over 5 years that no one would have imagined. Smartphones have become a primary platform to surf the web and consume the content. As the time elapsed, Kinex Media continued to grow and listed in top digital agencies in Canada, having reputed awards from Clutch.co under the belt. The company’s success and digital revolution changed a lot of things. The logo started to look old, blunt, flat and impenetrable. It wasn’t too late until we decided to welcome the change in our branding process. The old logo had too many colors and variations that have its own weakness on small screen devices. It wasn’t a good treat to the eyes when compared to desktop view. The readability was another issue on the list that drove us together to work on the new concept and stick to a uniform color that can become the face of Kinex Media in the future. In layman, Our X with smaller blocks around it that represented various platforms, in which we are mastered, no longer captured the essence what Kinex had become. So, we conducted a staff meeting that consisted dreamers’ and creative people and pitched the idea of creating a new logo that could better reflect who we are. Hence, we began our new journey to rebrand ourselves and embrace the change in the digital world. We explored millions of new ideas and the web in search of a muse that could resonate with our vision and ideas. Finally, we had an idea or an icon and started working on it, which would represent us as a creative digital agency that regards creativity as its highest priority. 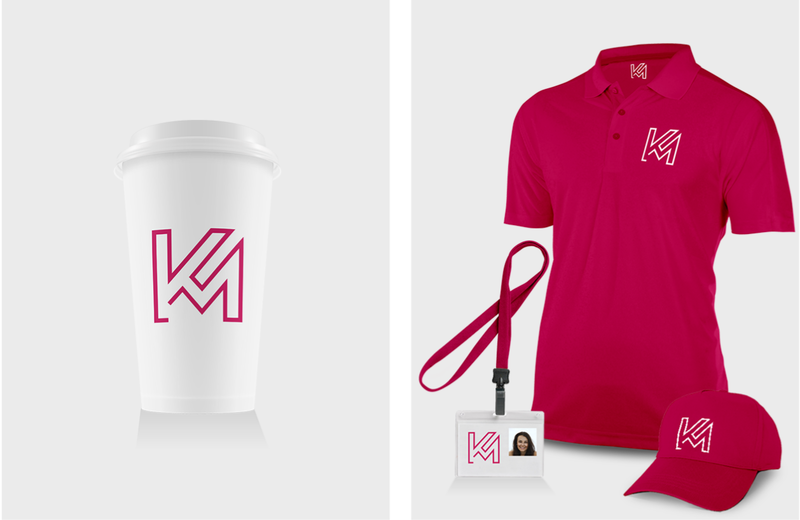 With time, we began having fun with K.M., the initials of Kinex Media. 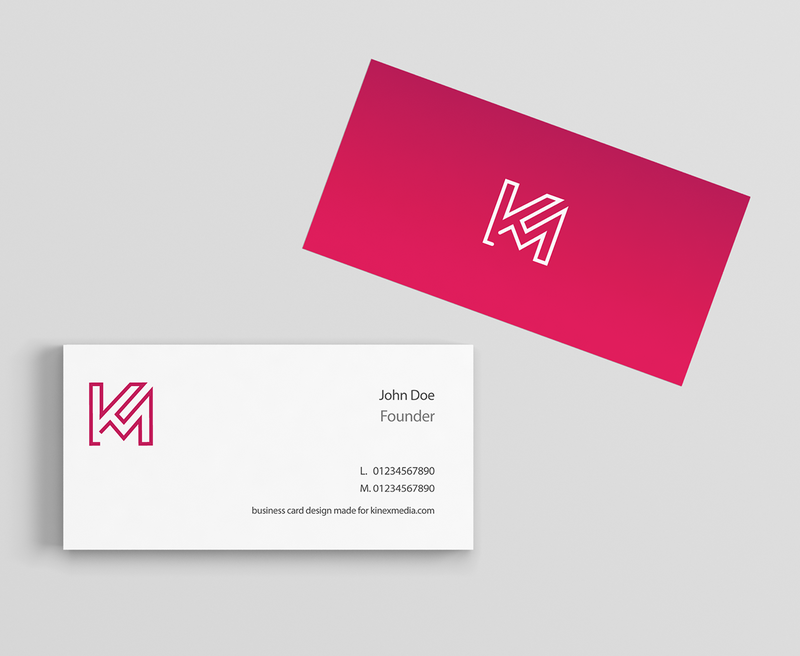 We cited certain resources and brainstormed to bring creativity in the logo that would look different from the rest and still reflect Kinex Media’s image without needing words to deliver the knowledge. With time, Team Kinex became serious and dipped into the creative ocean to bring creative pearls to the table to use in the logo. 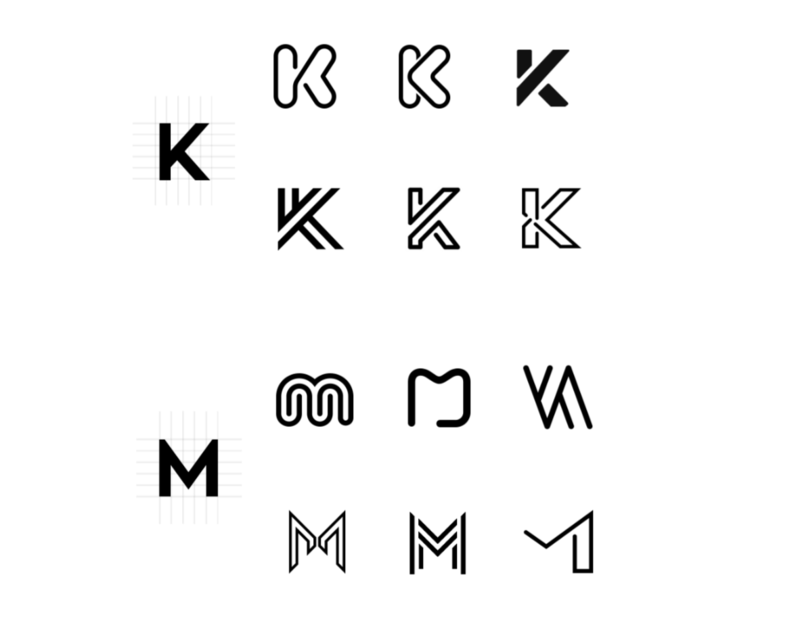 While working, we realized that our logo can be a series of thoughts to connect every idea to the final design. When the new logo was carved out, we tapped into a great idea of bringing revolution to clients’ projects. If you can see at the extreme right of the new Kinex logo, you can see an arrow pointing upwards, which merely was the result of connecting thoughts. It represents our vision and our passion for taking our client’s business to next level. We created an exhaustive range of different sizes and colors to conclude which type suits the best. The process took some time because the logo is the face of a business and the initial step of branding. Hence, we wanted everything to be completely perfect in every sphere and worked until we were fully satisfied. The end result had us all elated with the amount of hours that underwent in creating the new face of the company. 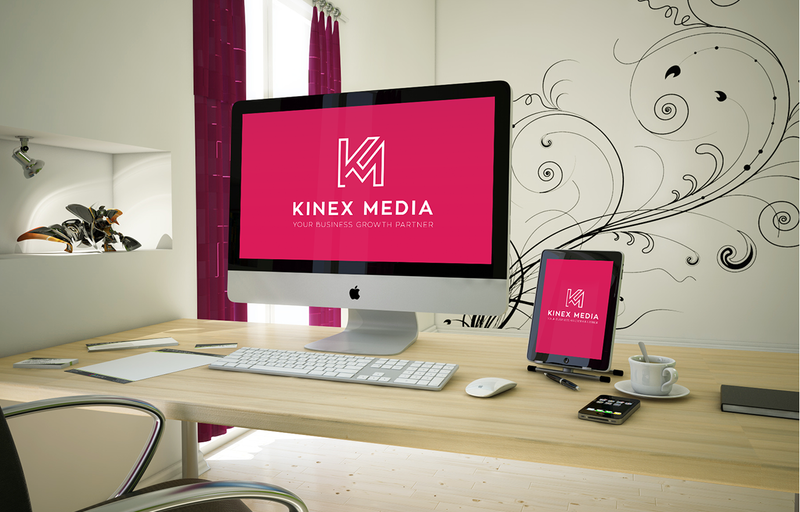 Kinex Media Logo!!! To test our new visual identity, we created series of posters that could fit on different horizons. If the branding isn’t good, the company fails to create an emotional connection with customers and we wanted the branding part to be completely perfect. Hence, we tested our logo on different mediums and were pleased to have the perfect look.